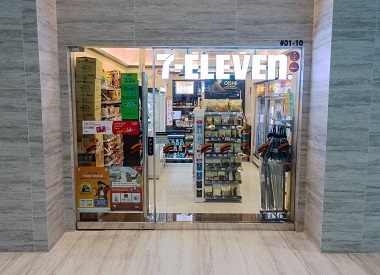 7-Eleven is also located at Anchorpoint, Causeway Point & Changi City Point. 7-Eleven has over 300 stores island-wide, becoming the leading 24-hour convenience chain store. We take pride in serving the Singapore community 24 hours a day, 365 days a year. 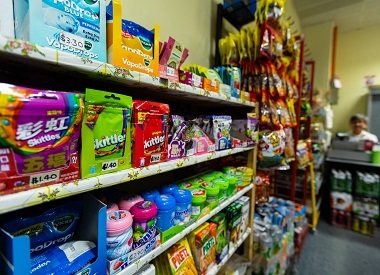 7-Eleven emphasises convenience and value by offering a wide array of quality products, food and services. Think 7-Eleven and what comes to mind are the refreshing Slurpee, Big Gulp and 7-Cuppa as well as a wide range of quality ready-to-eat meals and sandwiches under 7-Select. 7-Eleven is also a 24/7 one-stop destination for customers who need to access bill payment services in their own time.